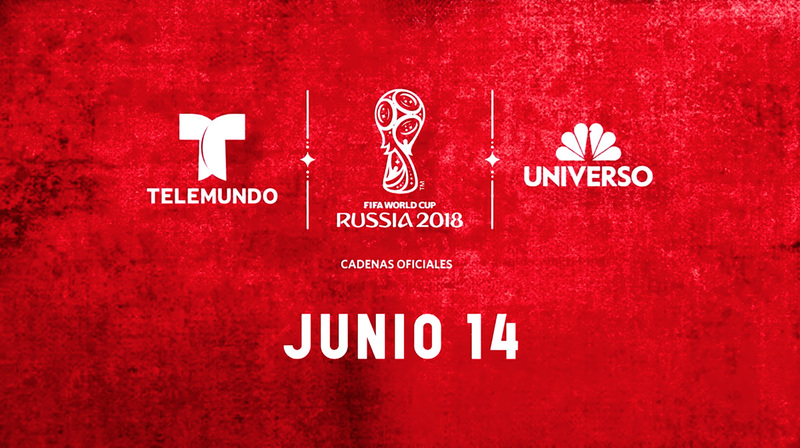 The 2018 FIFA World Cup is less than 100 days away and Spanish-language broadcasting partner Telemundo is ramping up its coverage with a new promotional push and host of announcements. Among the coverage plans, Telemundo has partnered with Vice to produce short-form features and stories around the tournament. The stories will appear on Telemundo Deportes’ television coverage and on TelemundoDeportes.com. As well, NBCU Digital Lab and Buzzfeed are producing digital content, including a documentary series called “Somos El Mundial” that will share intimate profiles of Hispanic World Cup countries. Telemundo Station Group will send 11 local reporters to Russia, the largest delegation of local journalists they’ve sent to an international sporting event. The Telemundo-owned stations will also air segments such as “Acceso Rusia,” “Hoy En Rusia” and “Recorriendo Rusia” along with local digital content and interactive games. In addition to the content announcements, Telemundo Deportes released this new promotional spot teasing the coverage, which begins June 14.